Big Picture International, Inc. (BPI) services include business strategy and business development consulting, as well as market entry into Japan, primarily via ecommerce on Japan’s major ecommerce platforms. BPI's in-house team manages all aspects of our client's business from import management to platform localization, marketing & promotion to handling all financial transactions. We also work with some of the best partners to ensure that our design, operations and marketing is the best in the business. Regular and ongoing written and verbal communications with our clients enable BPI to quickly adjust to market forces and maximize the business opportunity for our clients. BPI’s Japanese and international consultants have held executive positions and possess a broad array of expertise across several industry and professional sectors including film & television, marketing & advertising, mobile business, online & social gaming and healthcare IT. They form an experienced, bilingual Japanese / international team that promises a “best of both worlds” service partnership that helps our clients develop the best business strategies for success in Japan. BPI has worked with many Japanese and international companies to enhance their business development capabilities by developing effective sales strategies and assisting with implementing those strategies. BPI has delivered senior level contacts from highly vetted prospects, further localized and improved sales and marketing materials, and even acted on behalf of our clients as their sales team in Japan. Marc Fuoti, President and Representative Director of BPI, has almost 30 years of executive business experience in Japan and Asia. His diverse background and ability to integrate international and Japanese business practices makes him a truly effective business manager. Prior to establishing BPI, Marc was Senior Vice President, Asia Pacific, 20th Century Fox Home Entertainment. Prior to that, he worked in advertising & marketing as Senior Vice President, McCann-Erickson Japan. Over the last 3 years, Marc has become a leading ecommerce and online shopping expert in Japan. BPI is the only authorized agent to represent its international clients and sell locally on Rakuten’s Ichiba ecommerce platform here in Japan. BPI also works closely with the two other major platforms: Amazon Japan and Yahoo Shopping. Marc’s professional activities also include senior roles at the American Chamber of Commerce in Japan (ACCJ), where he served on its board as Governor and as Vice President. Through his involvement in the ACCJ, Marc worked closely with the Japanese and US government representatives on issues involving trade, regulations and business relations between the two countries. He was one of the primary contributors to the ACCJ’s landmark Internet Economy White Paper and a contributor to the semi-annual Healthcare White Paper. Marc has also consulted with a number of innovative startups and early stage technology ventures. He sits on the advisory board of Sgrouples, an innovative global social network based in the USA. Marc is also a principal at Katerva, an American non-profit organization and global leader in sustainable innovation, and a Board Member of the Foreign Community Supporting Committee (FCSC), a YMCA Japan charity supporting challenged children in Japan. Here are some of the great clients BPI is working with. In 2015 BPI was awarded the gift channel license for Cross Leather in Japan. 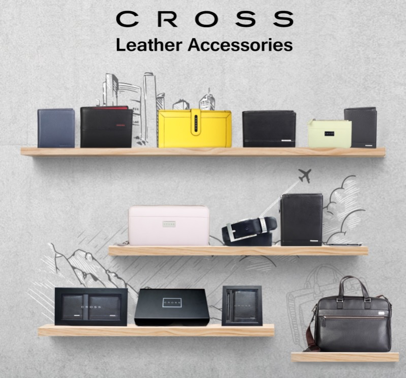 BPI was successful in listing Cross Leather products in several of Japan's top gift catalogs including Harmonic and Harika. Sales continue to grow in this exclusive sales channel. BPI launched Borner Germany and its high-end kitchen products on Rakuten Ichiba in 2015 and on Yahoo Shopping in 2017 through its complete turn-key ecommerce solution. BPI is also managing Borner's merchant account on Amazon. BPI has fully integrated and localized Borner's operations in Japan with local warehousing and a Japanese language website. Sales have grown by over 100% year-on-year. BPI has been providing a broad range of business services to the MPA in Japan and Asia for over 5 years by generating access to senior decision makers in government and industry, developing key strategic initiatives and supporting the MPA's major public events and outreach programs. The MPA continues to gain in influence and prestige in the film, TV and entertainment sectors and has become a major player in Japan.